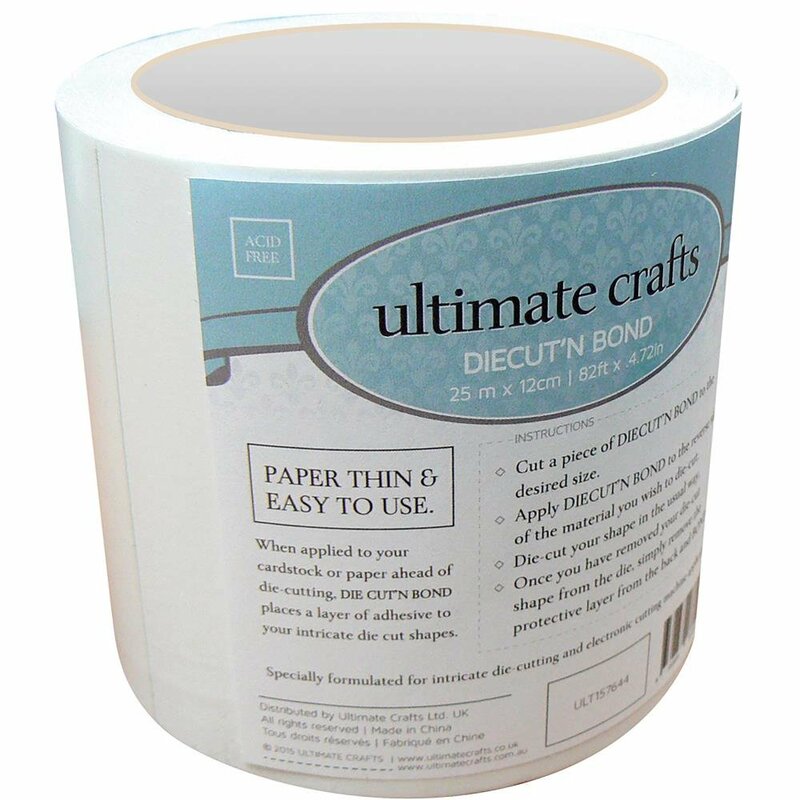 Diecut'N Bond is a wide roll of double-sided adhesive tape. It's paper thin and easy to use. Apply to paper or cardstock before die- cutting a shape. Once cut, peel off protective backing and place shape on a project where desired. Great for adhering intricate dies. This package contains 82 feet of 4.75 inch wide double-sided tape. Acid free. Imported.